Spent about SGD $5 / $7 per person. 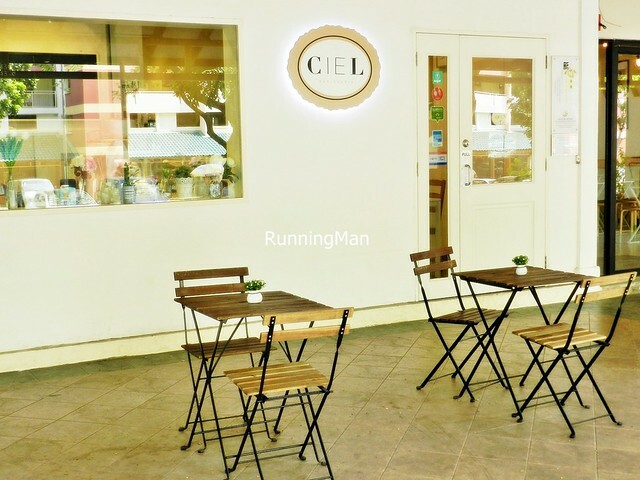 Founded in September 2012 by Ms Chara Lum, a graduate from renowned French culinary arts school Le Cordon Bleu Paris, Ciel Patisserie is a small dessert cafe tucked away in the heartlands of Kovan, which specialises in down-to-earth, no frills, yet tasty France dessert confectioneries. 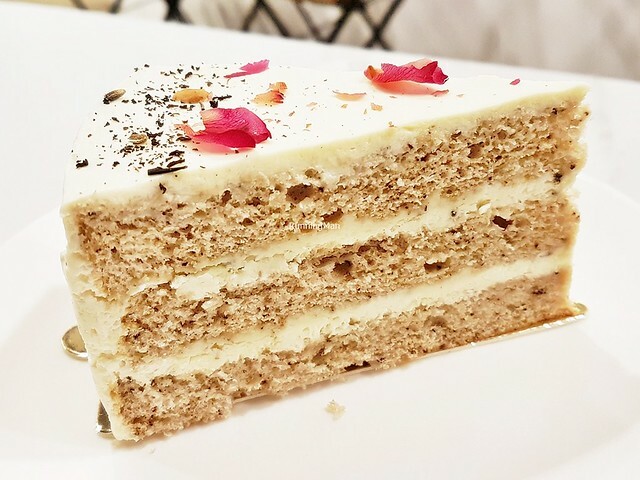 Pronounced 'see-el', meaning sky or heaven in French, the pastries, tarts, and cakes at Ciel Patisserie regularly receive good reviews, because for just SGD $5, you're able to get a pretty good dessert! Ambience at Ciel Patisserie is functional and rustic. The rather small interior features warm lighting, rustic wooden furniture laid out neatly, with fake flowers decorating each table, like a countryside home. The display of desserts is colourful and attractive, with clear labels. I notice most people order takeaway here, and the place usually isn't crowded. 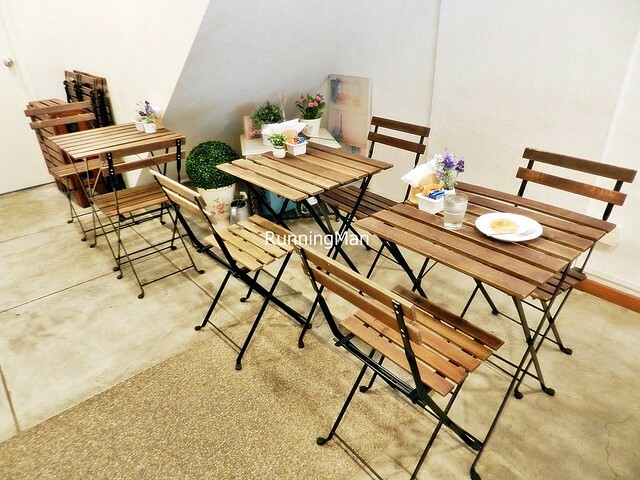 Quite a few people seem to prefer their exterior seating, on cool days, it's peaceful in the quiet neighbourhood of Hougang Avenue 1, and it's also sheltered from the elements. Service at Ciel Patisserie is largely self-service, with ordering, payment, and collection of orders done over the counter. However, staff do sometimes help to send orders to your table, if you order 3 or more items. 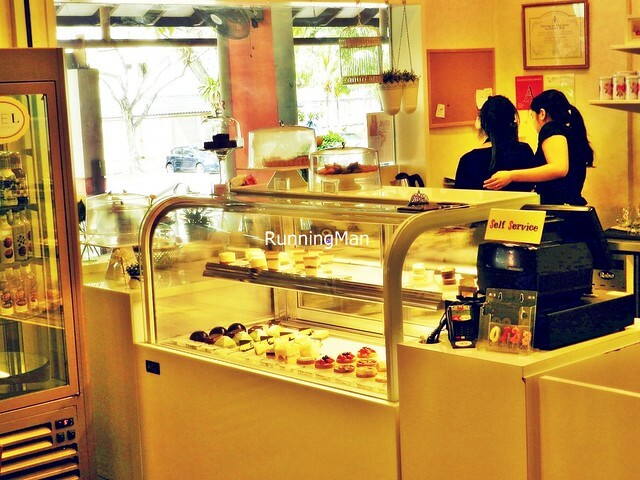 If asked, staff are able to provide basic descriptions of each pastry / cake / dessert, and can make able recommendations. They're rather friendly as well. For large orders, catering, or special requests, staff do try to accommodate requests, though you have to give them advance notice. Pretty decent service overall. 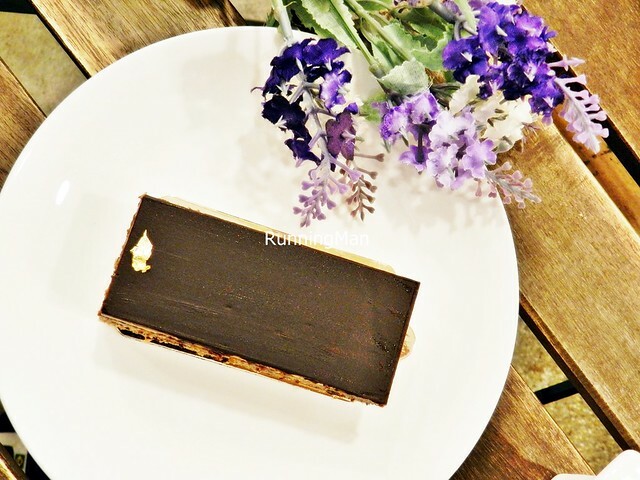 Food at Ciel Patisserie is all about classic French desserts. No mains or appetizers here, just pure sweets. Taste and presentation is generally above average, rustic, no-frills, straight forward goodness. 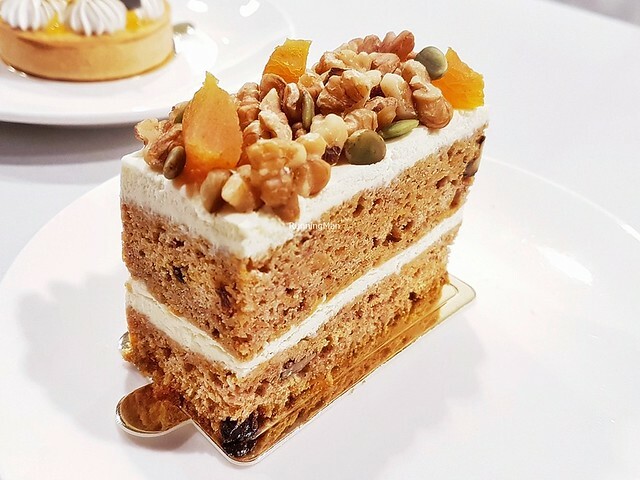 Portions are nicely sized for individuals, and Ciel Patisserie is especially known for their wallet friendly, affordable prices, as most items here cost less than SGD $5 per dessert. Good value for money! The small, rustic place is more suited for grabbing a quick dessert and heading off, not so much made for lingering. 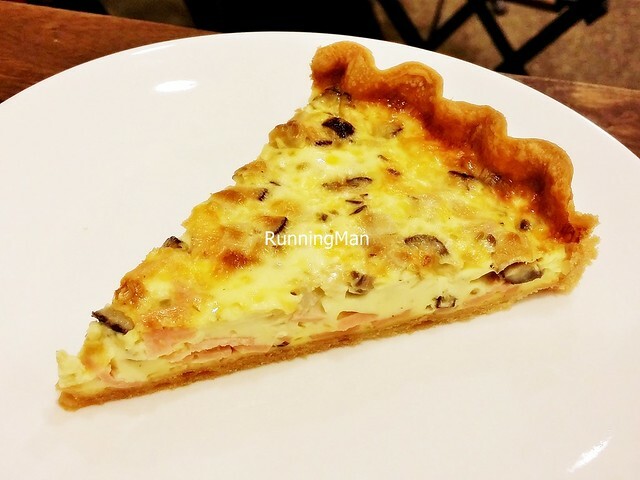 The only savoury item here, the Quiche With Ham & Mushrooms (SGD $3.20) is also possibly the most value for money quiche you'll get. 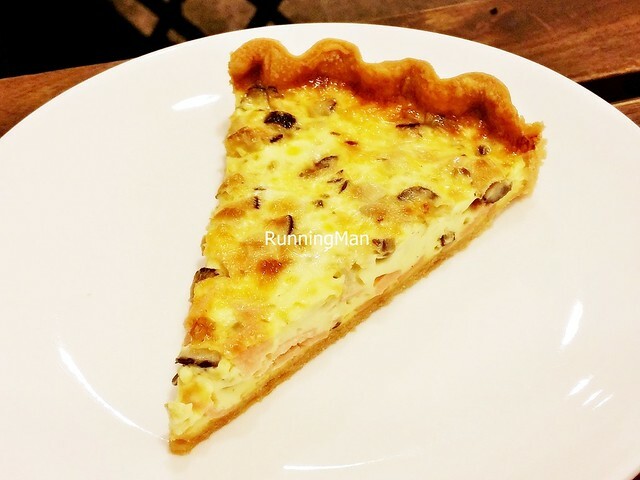 A crumbly open faced pastry crust, filled with a savoury egg custard, generously studded with sliced ham and bits of mushroom. Each mouthful gets you a taste of all the ingredients, and the texture is moist, without any burnt / overcooked taste. Pretty good! 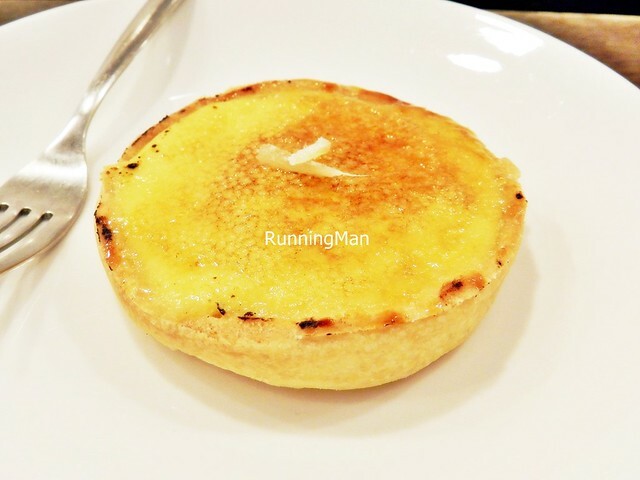 The classic French dessert is given a slight twist in the Crème Brûlée Ginger (SGD $4.80). While it still has that beautiful rich, wobbly, soft, creamy custard base that is nicely caramelised at the top, this dessert has also been infused with the spicy tang of ginger. Love the idea, as the ginger helps cut through the overall sweetness. 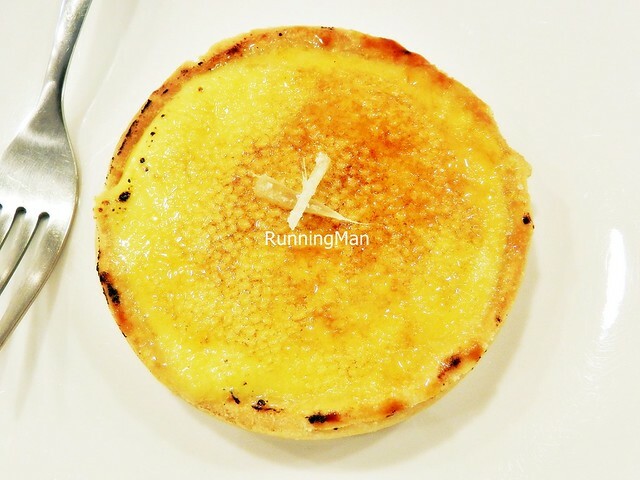 The caramelised crust cracks beautifully, then you get the soft texture of the custard, followed by flavours of vanilla, caramel, and ginger. Highly recommended! 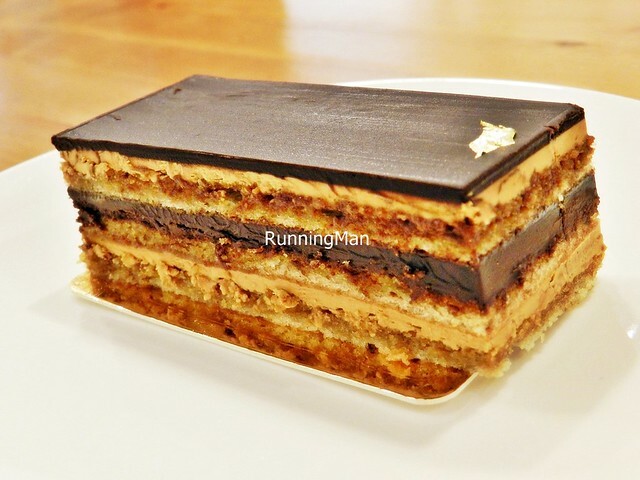 The classic Opera Cake (SGD $5.80) originated in France, and features layers of almond sponge cake soaked in coffee syrup, alternated with layers of dark chocolate ganache, rich coffee butter cream, and coated in a chocolate glaze. Incredibly rich and tasty, the version here is sweet and true to the original, which was created in 1955 by Cyriaque Gavillon from Dalloyau (Patisserie), in Rue Du Faubourg Saint-Honoré, Paris, France. 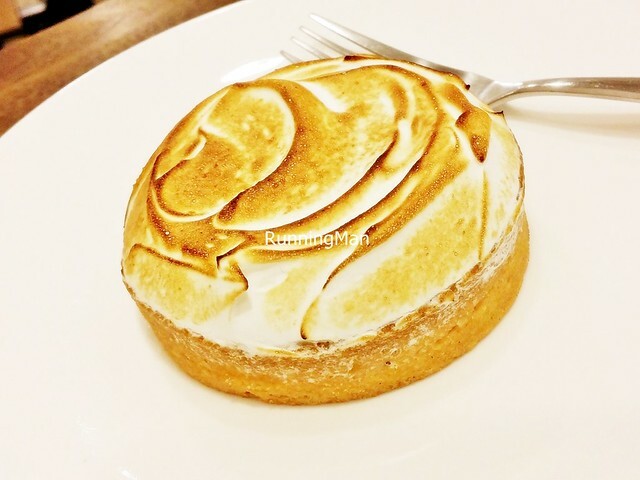 Loved the straight forward Lemon Meringue Tart (SGD $3.20), with its zesty, citrus lemon curd, on a crumbly, buttery pastry tart base, topped with fluffy, airy meringue. 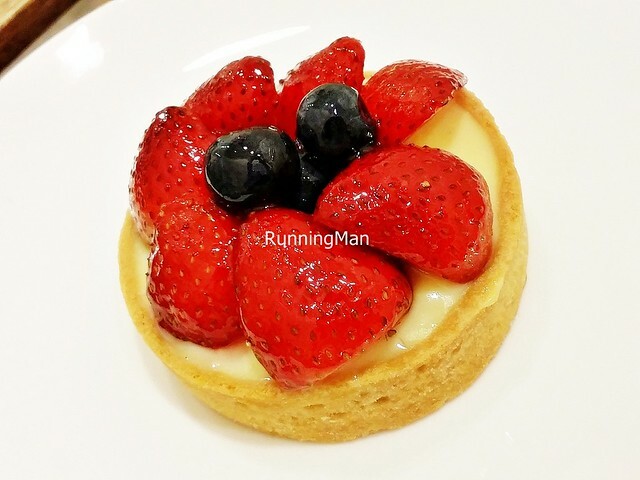 Easy to eat, the lightness of this dessert, and the combination of sour and sweet flavours, make it memorable. Very good! 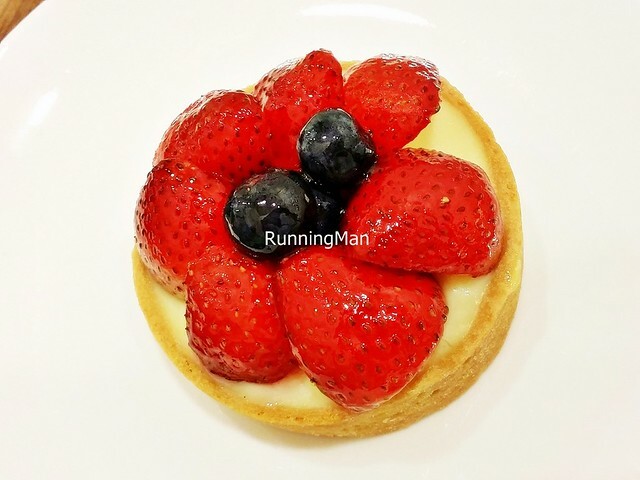 The Fraîche Tart (SGD $4.60), or Fresh Fruit Tart, is a bright, colourful summer berry tart, featuring house made vanilla bean infused custard, on a buttery, sweet pastry tart crust, topped with fresh, juicy strawberries and blueberries. No sour taste here, it's completely sweet throughout, and quite refreshing! Good! 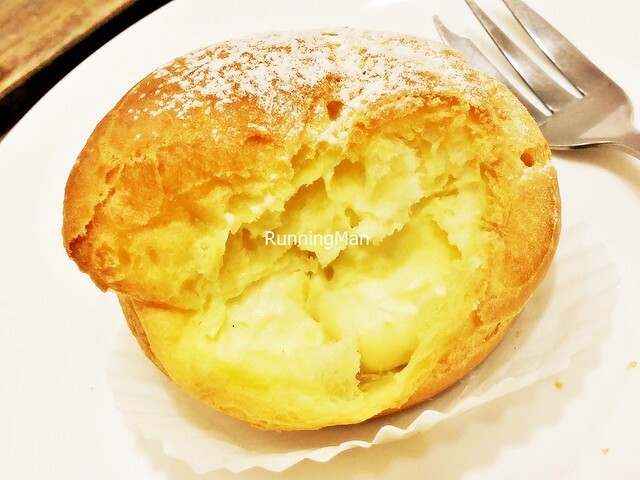 The Choux (SGD $4.20) puff has a chewy, doughy exterior, which I feel is slightly thick for my liking. But I loved the rich, smooth, vanilla cream within, sweet and lovely in texture. Feel so decadent eating this! 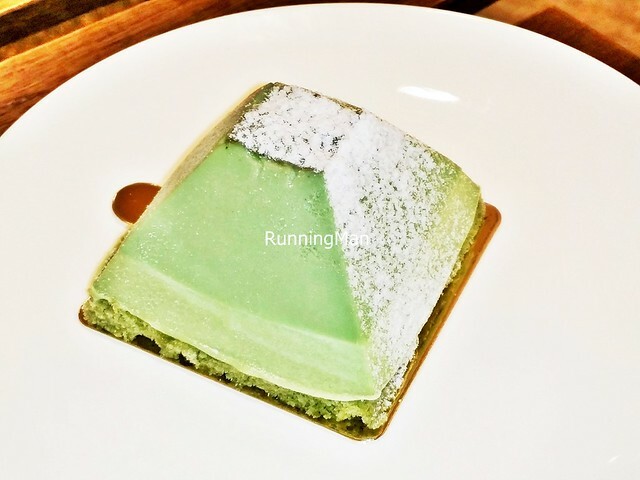 The iconic Japanese flavour of green tea takes center stage with the Fuji Cake (SGD $5.20), a creamy, light, green tea mousse, on a green tea sponge cake base that is soft and moist. 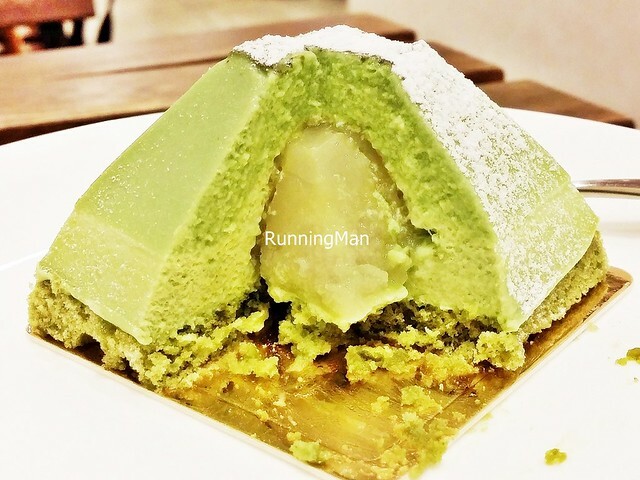 Hidden within this 'mountain' is a sweet treasure; a lychee infused jelly that lends a bright floral sweetness. Unique and creative, though the taste isn't as spectacular as I'd hoped, but it's still an above average dessert. 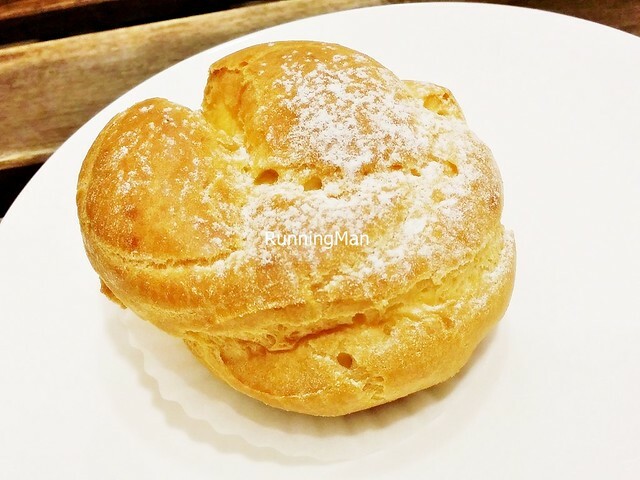 Update Nov-2018: More than 3 years later, have returned to visit Ciel Patisserie. 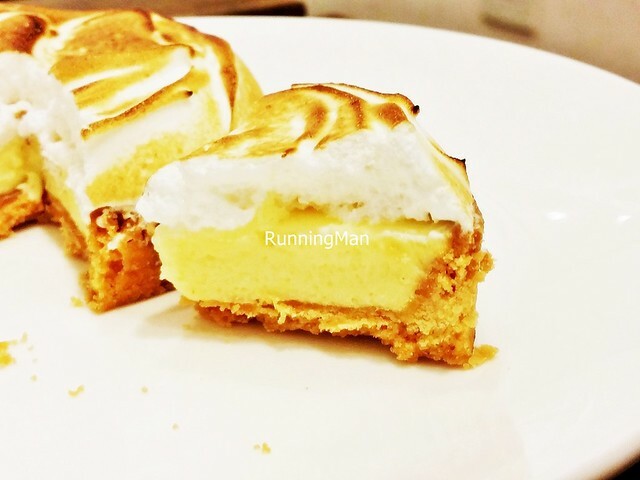 This is, in itself, commendable, as not many dessert cafes can survive in Singapore this long. Ambience at Ciel Patisserie remains rustic casual, with the same limited seating. Service at Ciel Patisserie remains largely self-service, over the counter. Food at Ciel Patisserie remains focused on French desserts and pastries, but they've expanded into Modern Singaporean offerings as well. Portions are still sized for individuals, but can be shared. Prices have risen slightly, budget about SGD $7 per person for a dessert here. 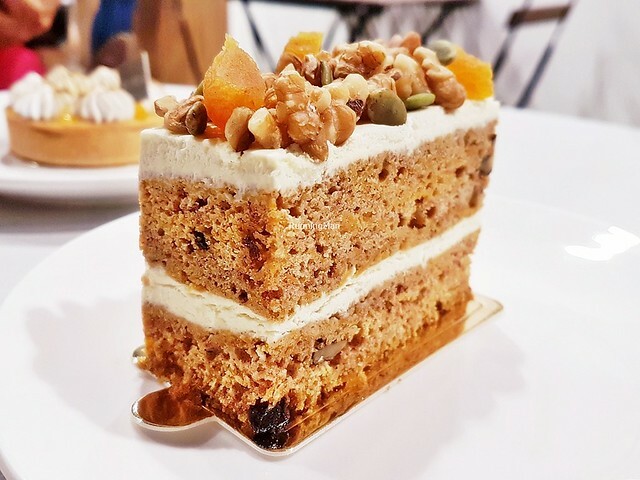 The Carrot Cake (SGD $6) features a cinnamon and nutmeg spiced carrot cake, with a moist, dense texture, layered with cream cheese, and studded with raisins, walnuts, and pumpkin seeds. Has a bold fruity earthy sweet spice flavour. Felt it's above average, though it could be better with a more moist and soft texture. 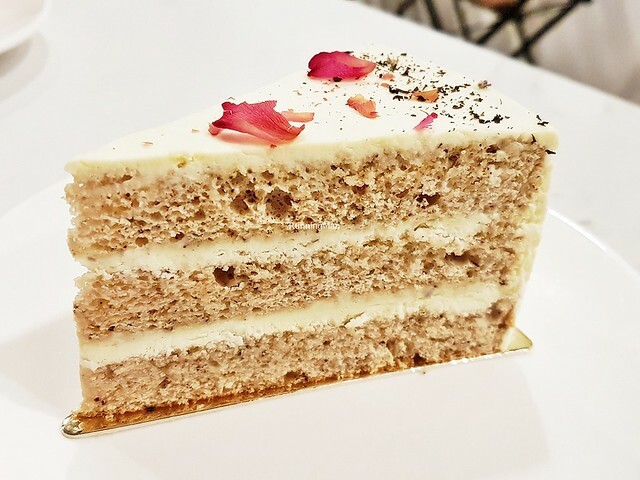 The Earl Grey Cake (SGD $7) features an earl grey tea infused sponge cake that is soft and moist, layered with cream cheese frosting and lacings of salted caramel sauce. This results in a rich earthy sweet salty floral flavour. Feels delicate, looks pretty, and tastes delicious.